of the most haunted university campuses in the south!!! Our haunted ghost tour of the campus of East Tennessee State University "digs deep" into the school's past with ghostly visitations and spinetingling experiences back to 1911.
Who was the screaming ghost of Cooper Hall? What former ETSU President still walks the campus grounds? Who are the ghostly residents of one famously haunted women's dorm? 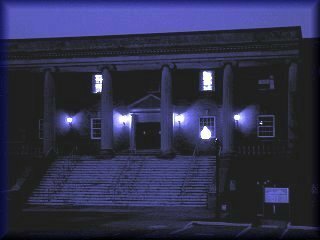 Discover numerous tragedies which have undoubtedly played an important roll in the very haunted nature of the school grounds and learn about the spirits who still haunt the location of the old "stacks" of the former Sherrod Library. Tour nightly with reservations!!! experience and meet for a fantastic meal before your haunted ETSU campus adventure with dinner at Wellington's - located inside the hotel and just across from the university, conveniently accessible via the ETSU skybridge. RESERVE ONLINE, or call (423) 743-WALK (9255) for reservations... You'll have a SPOOK-tacular good time!!! Enjoy an interactive journey into the region's past for children and adults with our area's largest natural history museum featuring many fossils found on the site dating back over five million years! Then, tour a museum which oversees more than twenty thousand artifacts from all over the region with your Appalachian GhostWalks guide. Many of these artifacts are on display for visitors, housed inside an actively haunted building as verified by recent studies. Learn why on this tour as your guide enlightens you to past research of the building and property. Following a full tour of the museum, another evening of culinary delight awaits. Guests have their choice of one of the areas biggest and best oriental dining experiences, or an eclectic menu in a retro, funky and fun atmosphere that will surely take you back. Then after satisfying your taste buds, get set to tour a university campus, known today as one of the most haunted college campus' in the South! 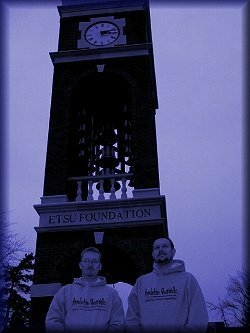 The lantern-led "Haunted Historic ETSU GhostWalk" will conclude at approximately 10-11 PM. Browse the full details of this and other tour packages as well as create your very own haunted vacation securely online by CLICKING HERE, or call (423) 743-WALK (9255) to speak with a reservations specialist. Use the following directions to Appalachian GhostWalks' "Haunted Historic ETSU GhostWalk" if driving from Pigeon Forge and Sevierville, Tennessee just a short drive via of I-40 E and I-81 N.
Directions to the "Haunted Historic ETSU GhostWalk"
From Sevierville, start out going north on Forks of the River Pky/US-441/TN-71 toward W Main St/US-411/TN-35. Stay straight to go onto TN-66 N/Winfield Dunn Pky. Merge onto I-40 E toward Asheville for 13.8 miles. Merge onto I-81 N via EXIT 421 on the left toward Bristol. Merge onto I-26 East via EXIT 57A toward Johnson City for 10.4 miles. Then take the State of Franklin Rd EXIT 19 and turn right at the bottom of the exit ramp for 4.9 miles. 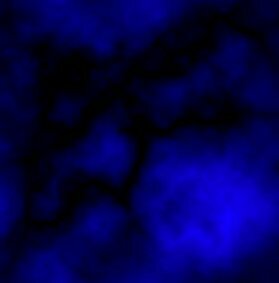 The Carnegie Hotel will be on your left ending at 1216 West State of Franklin Rd, Johnson City, TN 37604; Total Estimated Time: 1 hour, 37 minutes; Total Distance: 94.48 miles... One of the most haunted college campus' in the South!! !